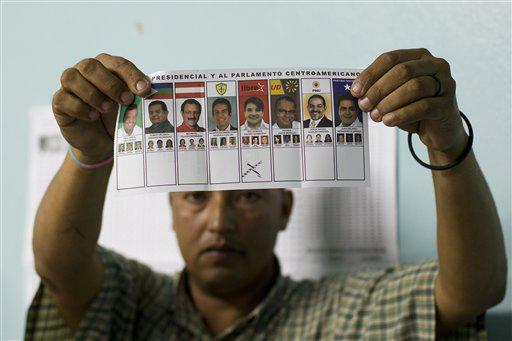 Honduras’ elections on November 24 had the potential of reversing some of the worst pro-market, anti-people policies put forward by the government of Porfirio Lobo, who was the direct beneficiary of the 2009 coup that ousted the left-of-center Manuel Zelaya. Instead, the elections have been fraught with irregularities and violent intimidation, threatening to throw the embattled nation into further political disarray. These elections were regarded as pivotal for Honduras, as the administration of the ruling National Party has done little to combat the country’s poverty rate which stands at over 60 percent. Instead the National Party has been focused on opening up the country to multinational corporations. This is best demonstrated by the National Party’s passage of a new mining law that would remove the moratorium on the granting of new mining concessions put in place by former president Zelaya in 2008. The new mining law, which was passed earlier this year, was drafted with the help of the Canadian International Development Agency. The law effectively allows for a return to destructive open-pit mining practices that have been linked to numerous human rights abuses and widespread environmental destruction. Standing in opposition to these pro-multinational corporation policies, the LIBRE (Liberty and Refoundation) Party is led by Xiomara Castro de Zelaya, the wife of former president Manuel Zelaya—who, under the constitution, was barred from running for a second term. The LIBRE party emerged from the post-coup resistance movement and seeks to build a Honduras in which self-determination and social justice—not the rule of the oligarchs—prevail. Due to the strength and wealth of those they oppose, the LIBRE party has been systematically attacked by the military police and paramilitary forces associated with the various landowners and business figures. Rights Action has extensively documented the violent intimidation of LIBRE party members and progressive journalists in the run-up to the November 24 elections. Rights Action recently released a report that revealed since May 2012, at least 18 LIBRE party activists have been killed, with 15 others falling victim to armed attacks. Despite the presence of hundreds of international observers, the state-sanctioned violence and intimidation did not cease. As reported by members of the Canadian NGO Common Frontiers who were part of the official delegation, the day before the election armed groups entered hotels in Tegucigalpa in order to intimidate election observers. With the passage of time, it is becoming increasingly apparent that examples of armed intimidation were crucial to the victory of the National Party’s candidate Juan Orlando Hernández. Their statement concluded with their recommendations: “We urge the Canadian government not to recognize the results of the Honduran elections. There must be an opportunity to do a full, transparent, accurate count, and fully investigate the many reports of irregularities, intimidation and threats by authorities.” (The entire statement from the Canadian delegation can be read here).